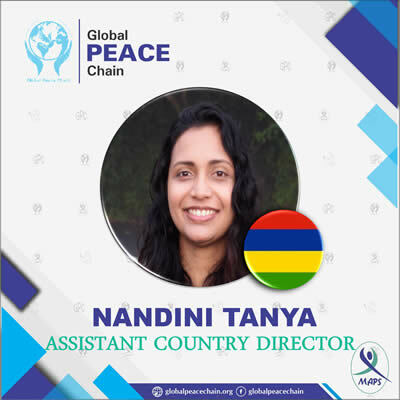 Starting the year 2019 with some awesome news for the country, three young professionals from Mauritius have been honoured to be part of the Global Peace Chain. Prisheela Mottee has been appointed as country director, Tanya Lallmon as Assistant Country Director and Yug Bundhoo as Global Peace Ambassador. The young and dynamic team has taken the pledge to organize a number of activities during the year 2019, which are peace camps, art peace competition and a national peace summit. According to Prisheela Mottee, the activities will aim at connecting people from all backgrounds as one nation and involve young people to address the barriers to bring about a peaceful society. “Mauritius is ranked first in the sub-Saharan African region and under the top 20 in the Global Peace Index in the 12th edition. Mauritius is in the top 5 most peaceful countries regarding ongoing conflict domain. Mauritius can be a role model for a number of countries in the world,” she remarks. Interactive and artistic sessions will be organised with a new approach with youth, civil society, policy makers and Non-Governmental Organisations (NGOs). The platform will offer a passionate and committed peaceful arena for like-minded people to discuss about their views on global peace. 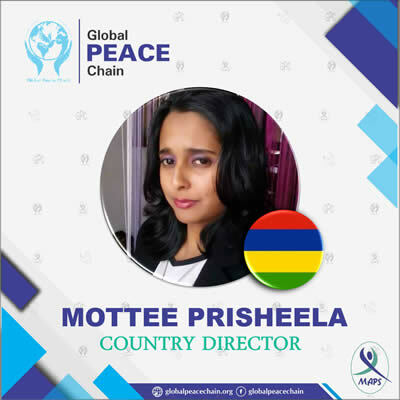 Prisheela Mottee is the President and Founder of the Raise Brave Girls Association which is contributing to the Sustainable Development Goal 5 gender equality and empowerment of women. By profession, the young lady is a Civil Status Officer. She holds a degree in Political Science, a degree in law and a Master’s degree in Public Policy and Administration. Her aim is to empower women in the African region. She highly believes that women should be better represented at political level. She is also very passionate about poetry and is the author of a poetry collection in Creole. Tanya Nandini, an inspirational young lady who wears different hats, is all set for her new role. Winner of the Mauritius National Youth Excellence Award, she is ready to tap into the potential of technological development to promote peace. The young lady is part of the inaugural cohort of the African Women Entrepreneurship Cooperative. Besides, she is also serving as a mentor at the Cherie Blair Foundation for Women as well as attending to the opportunity desk. This is certainly not the end, as Tanya Nandini is also an active member of the Reaching Sky Foundation and WERP-India. From a very young age, she has been serving the community as the Vice-President of the Advisory Committee of the Youth Centre in her area. Moreover, her innovative concept on the use of Blockchain for identity management has been selected as part of the TEDx Johannesburg’s 100Ideas100 Millennials Online Mentorship Programme. 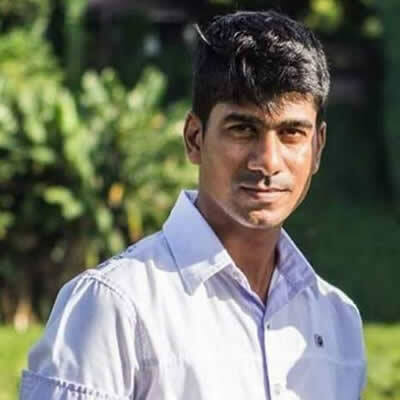 Yugesh Bundhoo, also known as Yug, is a prison officer who has been serving the country and at the same time, a young man who is very active socially. He is also an International Trained Official at the Peacekeeping Training Centre in Harare, Zimbabwe. He is ready to be deployed in UN, SADC, AU and EU for peacekeeping operations. He has already trained around 12 people locally. Passionate about youth empowerment, Yug Bundhoo is working hard to address the problem of drugs. Along with his team, he is providing teenagers platforms to build their character, self-esteem and confidence to grow in a positive environment. Global Peace Chain is an international organization aiming to cultivate a culture of tolerance, inclusivity and social peace building across the world through peace summit by engaging Global Peace Ambassadors in their respective communities. Global Peace Chain is an initiative to promote peace, inter-faith harmony and social justice. There are over 2,000 young people across the globe that are advocating and campaigning for peace and social justice around the world under the umbrella of global peace chain. The aim of the organisation is to mobilize 10,000 youth activists worldwide up till 2020, launch 200 social peace campaigns in all sub continents, to attract world media intentions on peace building & its solutions, to select 5,000 Global Peace Ambassadors as well as to submit a resolution in United Nations Headquarters.